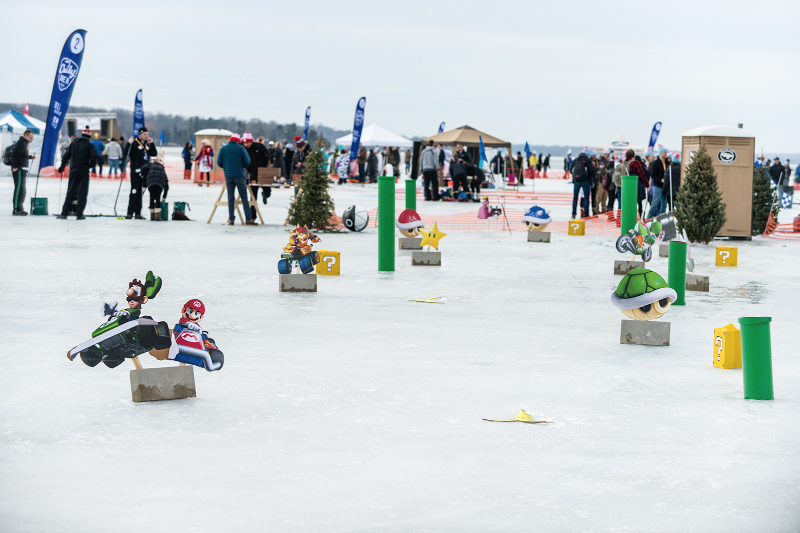 On a “Chilly” Saturday morning, we drove a CX-5 packed full of Mario Kart cutouts onto a frozen lake for the Chilly Open. 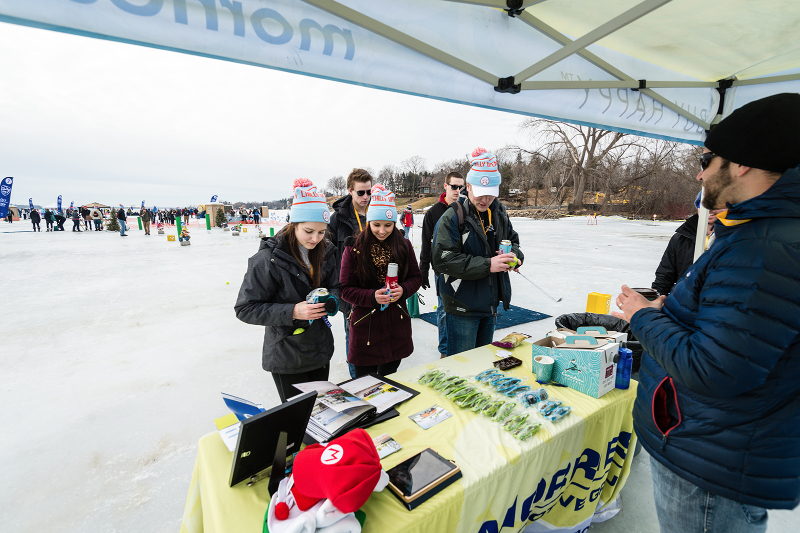 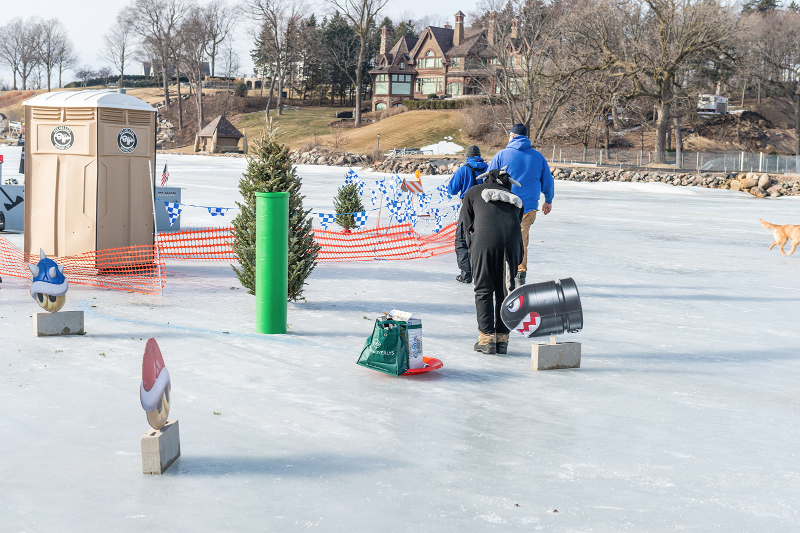 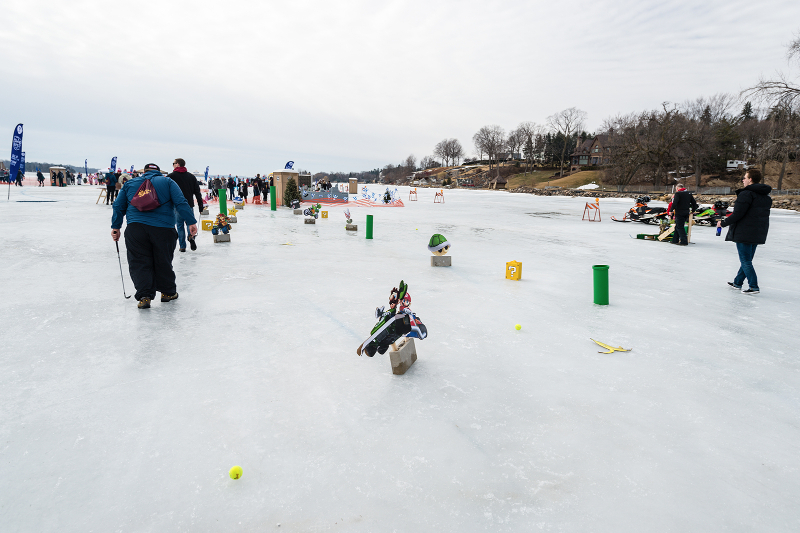 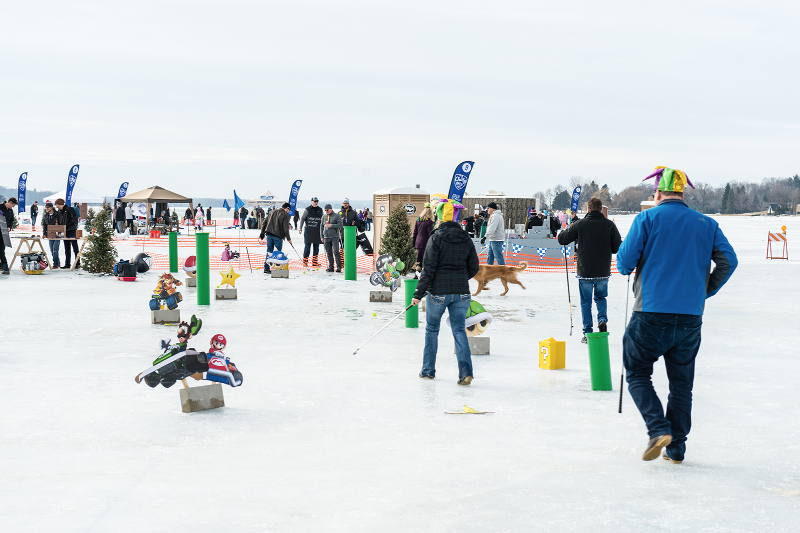 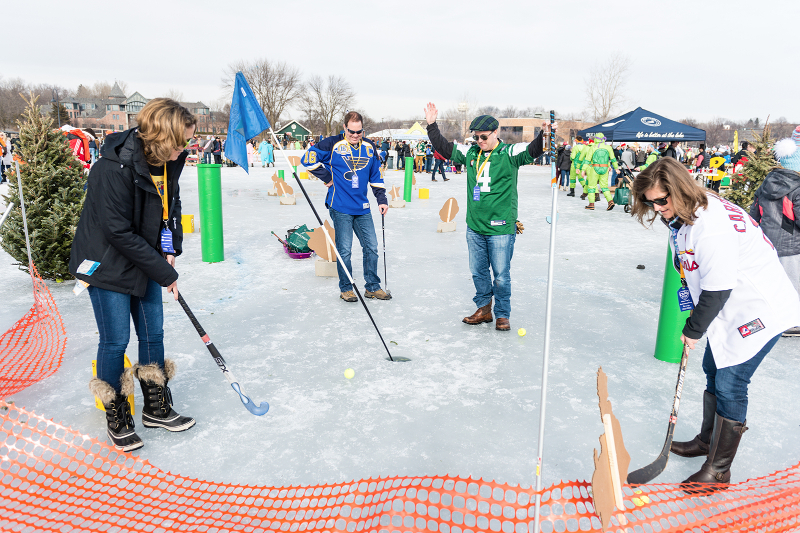 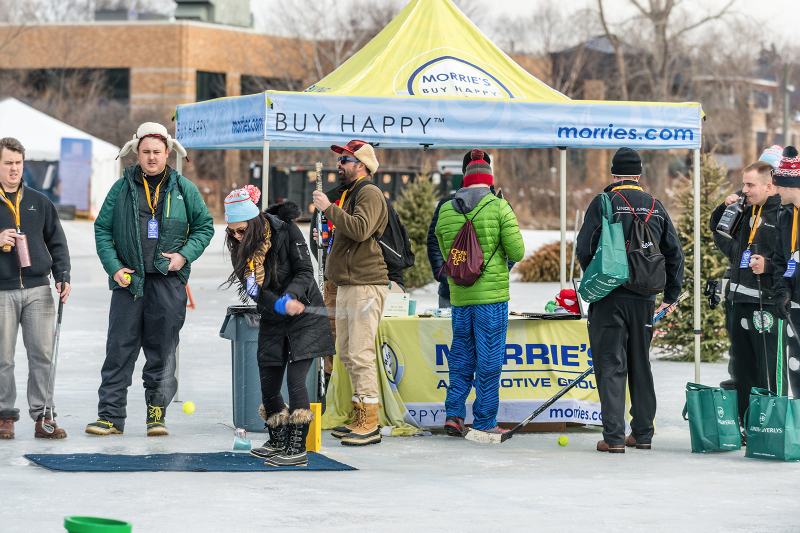 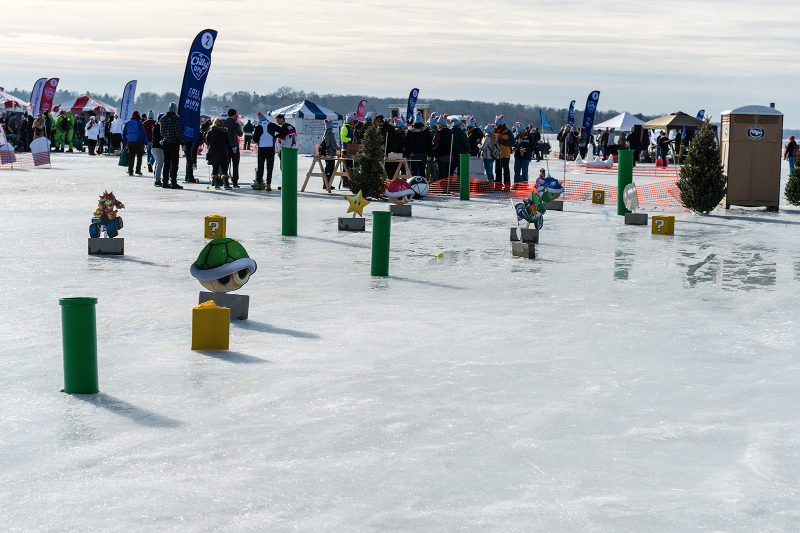 The Chilly Open is a half golf, half hockey, and all drinking event that happens every February in Wayzata. 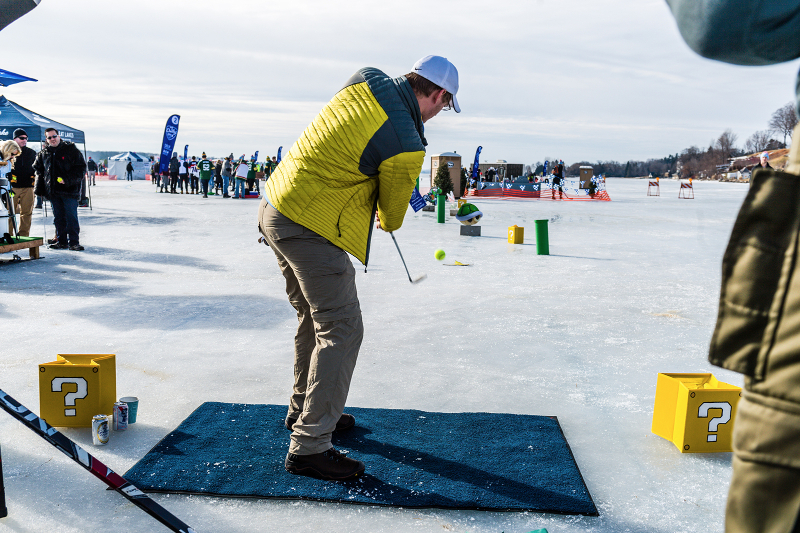 Golfers bring their own version of a golf club which can be anything from a hockey stick, to a lacrosse stick, to a Swiffer with the bottom taped down. 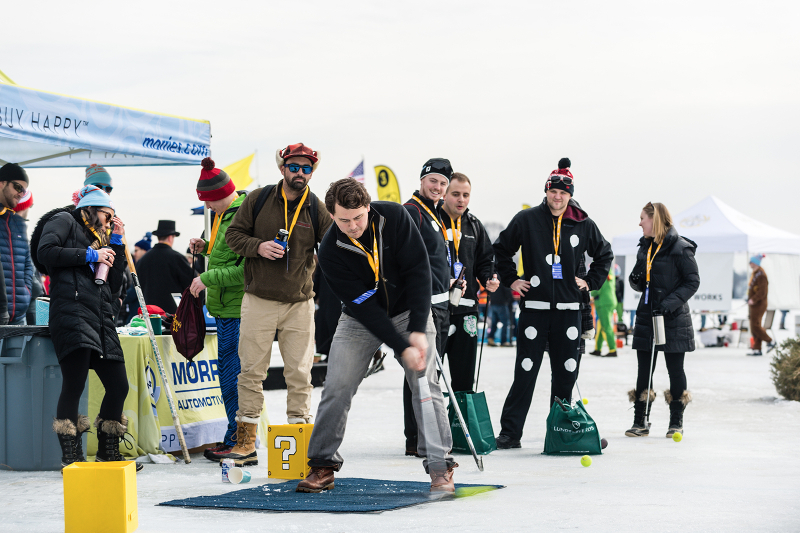 We sponsored a golf course and were able to design our own Mario Kart themed hole. 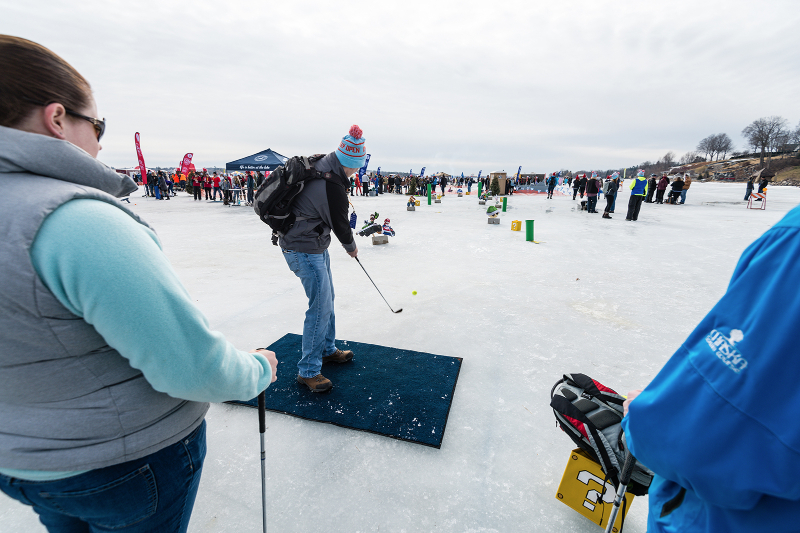 We had about 1,000 people come out to play our course over the course of the day. 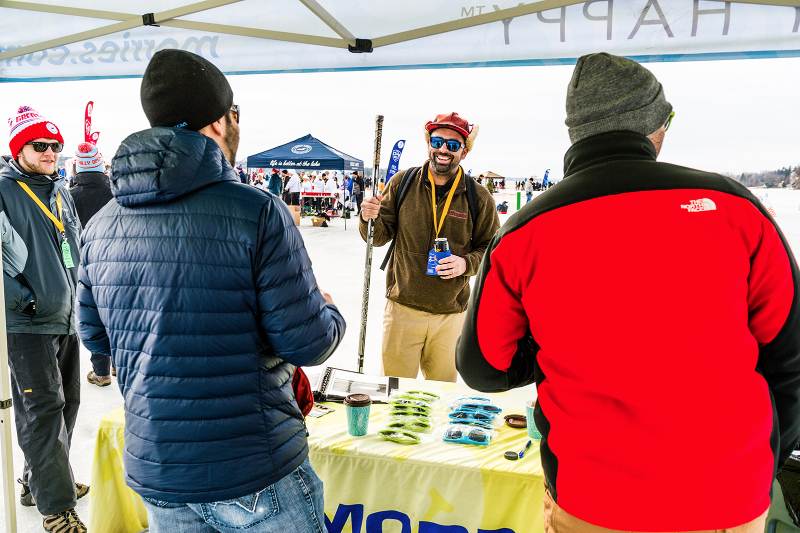 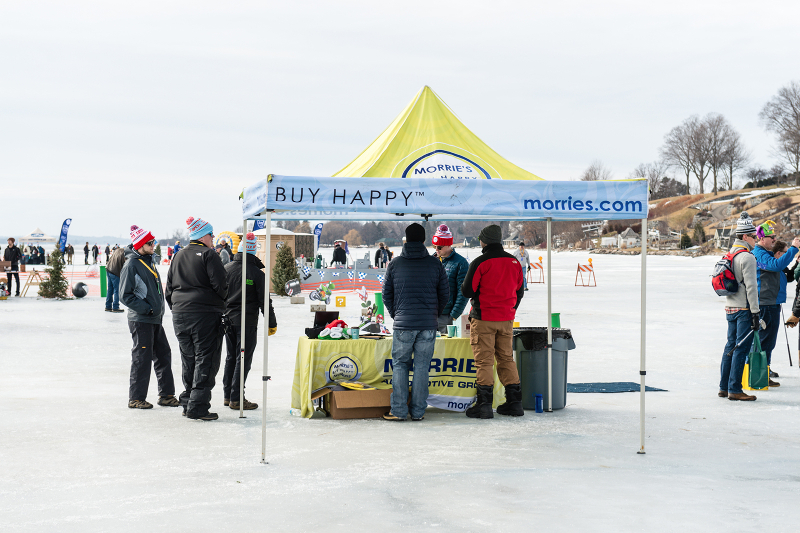 When people headed up to our tent to grab a stylish pair of Morrie’s sunglasses, they shared their positive buying experiences at Morrie’s. 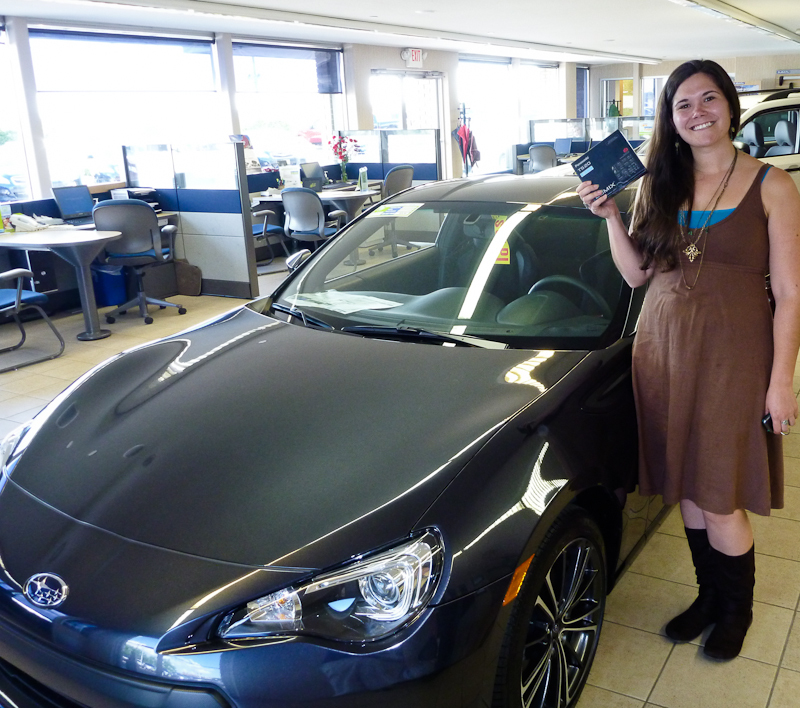 We never get tired of hearing these awesome stories! 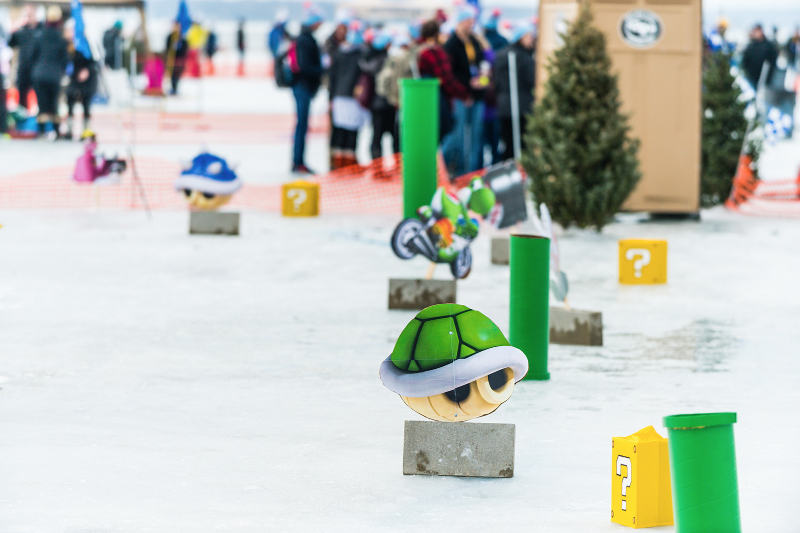 As long as there’s still ice next year, we’ll be out showing off our latest theme, so keep your eyes peeled in 11 months for the next round! 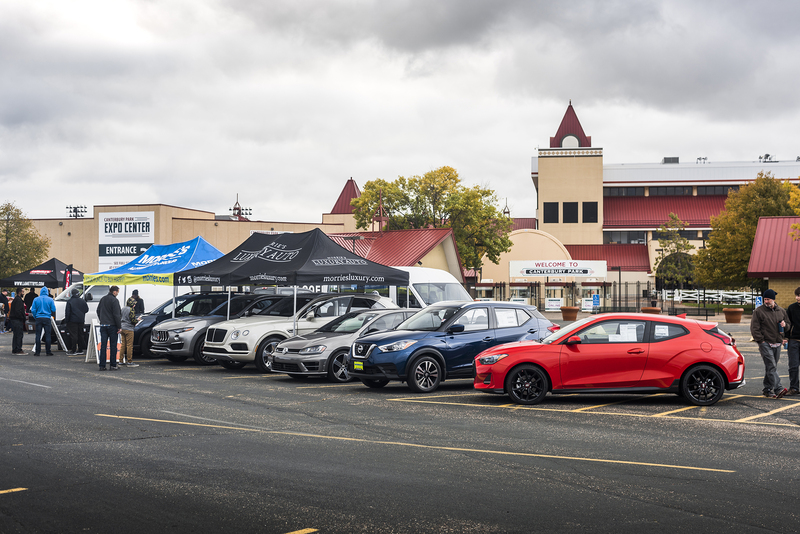 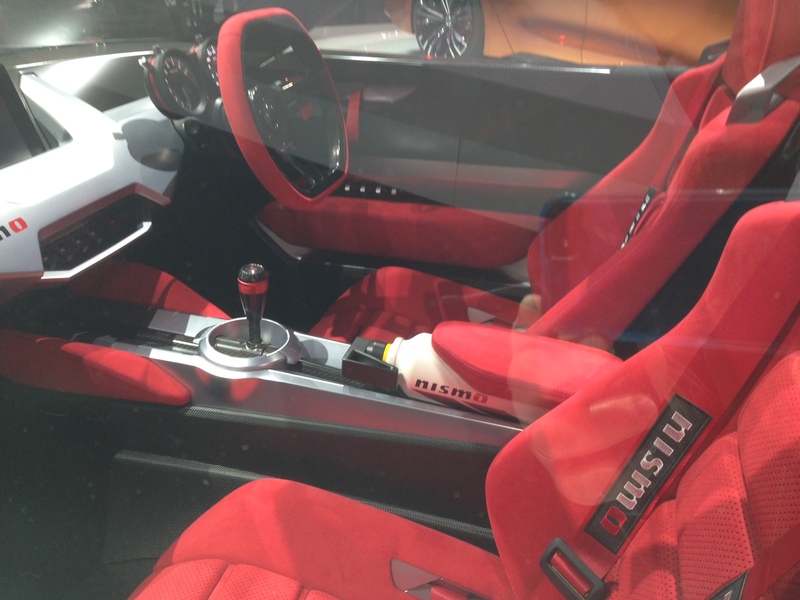 June Cars & Coffee Prize Winners!